In today’s hectic, complex world—stress is a common concern for most of us. With unexpected things happening all around you, coping with stress may be difficult and can start to take a toll on your body. A certain level of stress can be positive as it can make you feel more alert and energized. Stress becomes a negative state of mind to be in when you experience challenges or difficulties continuously without any relief or relaxation. 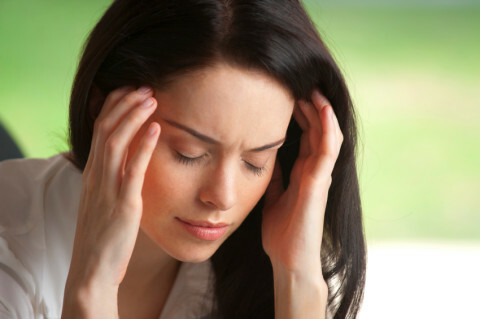 Stress can eventually start to have an effect on both your health and your oral health. Researchers have found several links between stress and the oral health concerns or problems that are listed below. Mouth sores, examples include canker sores or cold sores—one of the main causes for mouth sores is emotional stress. Teeth grinding and/or temporomandibular joint disorder (TMD)—stress can cause constant worrying and thinking, which can affect your body when it’s asleep and cause you to grind your teeth. If you find yourself stressed before you go to sleep or having headaches when you wake up, you may be grinding your teeth at night. Constant clenching of the teeth—stress can cause you to clench your teeth in the middle of a thought or action without you even realizing it, which can have an effect on your teeth. Poor oral hygiene—if you’re feeling stressed and have too much to do, you may find yourself not having the time to brush your teeth or floss regularly. Poor diet/nutrition—having a poor diet as a result of stress can cause a lack in the vitamins and nutrients that you need to be healthy. Gum disease or worsening of existing gum disease—stress can affect your immune system and can cause damage to your gums. Missing regular dental appointments—you may find yourself having too much to do to see your dentist regularly. Dry mouth—stress is one of the main reasons you could have a dry mouth. You may find yourself having a dry mouth before a stressful appointment or presentation for example. This causes a lack of saliva in your mouth and saliva has many oral health benefits, including washing away food particles from your teeth and gums. If you have any concerns about how your stress can be affecting your oral health, visit a 123Dentist.com location today—a health professional would be happy to help you!